With the most towing and hauling capability ever in a Ram 1500, as well as improved efficiency and exceptional available off-road capability, the All-New Ram 1500 has the grit to take on any task. The All-New Ram 1500 was built to pull heavy loads, haul supplies over gravel roads and plow through the elements. Count on it to haul up to 2,300-lb (1,043 kg) max payload or tow up to 12,750 lb (5,783 kg), which is best-in-class V8 towing with complete confidence. 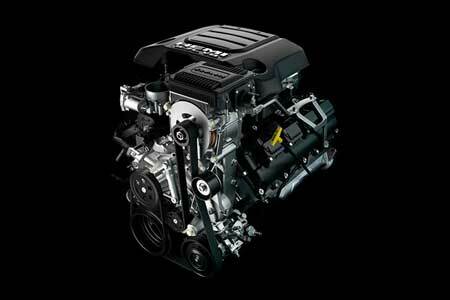 The Pentastar® V6 and the available HEMI® V8 offer eTorque technology to help improve both performance and fuel efficiency. Inside, the All-New Ram 1500 integrates state-of-the-art tech and device connectivity with luxury defined by comfort, space and silence. Truck owners demand the best technology and the all-new Ram 1500 delivers, including SiriusXM® with 360L, the most amazing listener experience ever, the class-exclusive available 12-inch touchscreen media center, and the most powerful audio system in its segment from Harman Kardon®—with a 900-watt amplifier and 19 speakers. 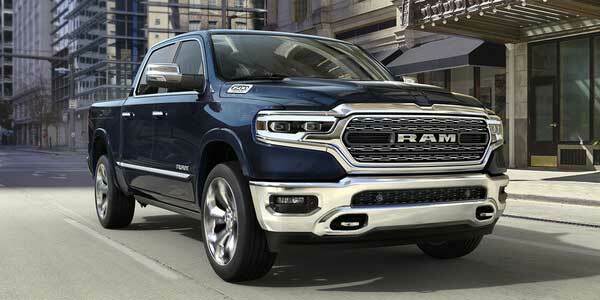 The All-New 2019 Ram 1500 has never been more aerodynamic thanks to a number of updated exterior design features. 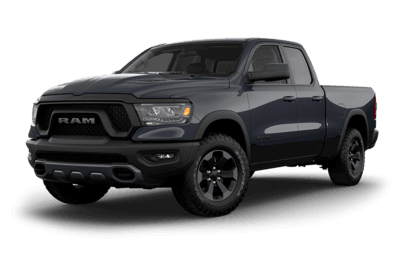 It comes with a Class-Exclusive active air dam that deploys at higher speeds to divert air, and Class-Exclusive Active-LevelTM Four-Corner Air Suspension that lowers the Ram 1500 by 0.5-inches (12.7 mm) at higher speeds. Lastly, it has Adjustable Grille Shutters, an elevated hood to redirect air from the wipers, raised bed rails, and a new rear spoiler on the tailgate to further improve the aerodynamics and reduce drag. 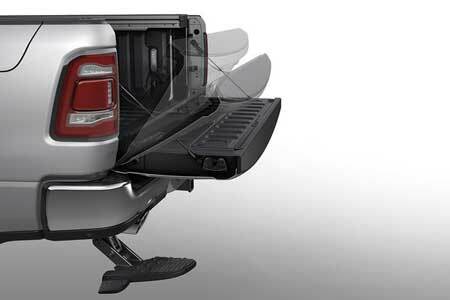 It’s never been easier to get in or out of a pickup truck thanks to the All-New 2019 Ram 1500’s available power side steps. You steps can be deployed when a door is open or the truck is in park for your safety and convenience. When the steps are retracted they rotate into the rocker panels to avoid aerodynamic draft and noise while you are driving. The All-New Ram 1500 is all about adding features to improve durability and convenience, which is why it has available Tailgate Assist. With the push of a button from your key fob, you can activate the power-release to the dampened tailgate that will ensure easy operation through even the coldest and hottest weather conditions that Canadian weather can throw at you. 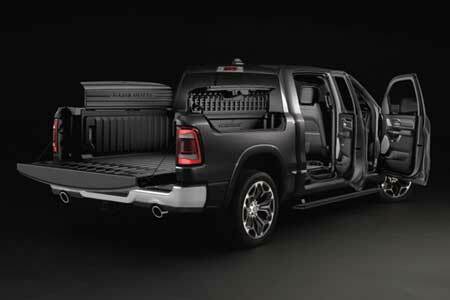 The 2019 Ram 1500 uses several clever cargo features to create the Best-In-Class interior storage volume of up to 151.1 L. It has Class-Exclusive in-floor storage bins that are 5 inches larger, rear bench seats that fold up so you can use available grocery hooks, and 20 L additional storage space that can be doubled to 40 L with a smart fold-out feature. It also has no centre hump in the second seating row to create a true flat flooring area, plus a 4-inch longer cab, for an even more spacious interior. Even outside of the interior cabin, the 2019 Ram 1500 offers tons of clever storage features for your convenience. 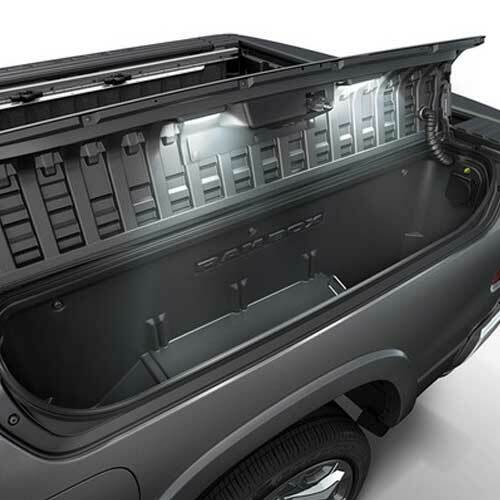 It has a Class-Exclusive RamBox Cargo Management System storage bins with LED lighting to make it easier to see what you’re doing at night. It also comes with a two brand new features: a 115-volt power outlet and remote access with your key fob. The Ram 1500 Limited surrounds you with more sophistication, attention to detail, and luxury than any other light duty truck. It adds a number of chrome enhancements to the exterior, such as the new forward-leaning chrome grille, full-chrome front bumper, and side windows with bright chrome outlines. The inside adds even more genuine wood, metal and leather materials throughout, plus the most powerful audio system in its class and Best-in-Class noise dampening in the cabin. For those who want their truck to be more bold and capable, the Ram 1500 Rebel has been engineered to your tastes. From powder-coated black steel bumpers, instrument panels with laser-ingrained red accents, signature floor mats and distinctive grille, the Rebel theme showcases its rugged character. For the 2019 model it has added new premium seats, 4-way front headrests, and 12-way power driver’s seat with leather-wrapped steering wheel. 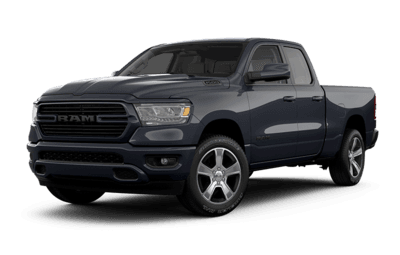 Only available in Canada, the Ram 1500 Sport shows off 22-inch aluminum wheels with a distinctive monochromatic exterior and all-black badging to stand out from the crowd. Insider you find accents and finishes with satin and light black chrome for bold styling, plus power-heated bucket seats with unique “hex” mesh inserts. The All-New 2019 Ram 1500 is pleasing to all of your senses from the moment you enter the cabin. The fell, sight and smell of the luxurious materials throughout the interior, such as the real wood and leather, creates a highly comfortable experience. 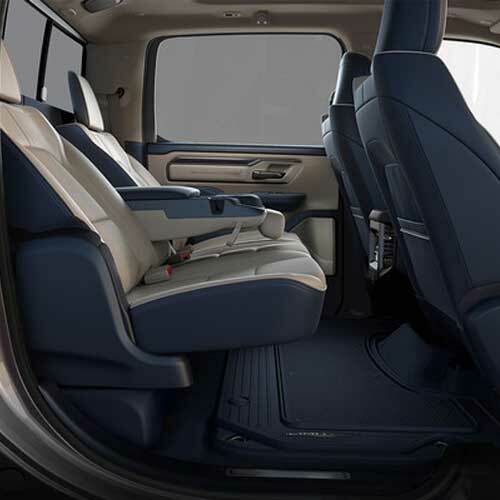 Even for rear passengers, the Ram 1500 comes with Best-in-Class rear legroom, and with its 102 mm (4-inches) larger size you can feel the difference sitting inside. 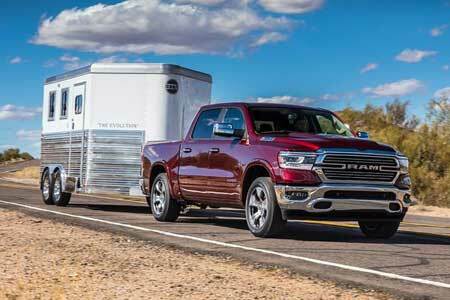 Building on the luxurious interior experience, the new 2019 Ram 1500 added several upgrades to make it the quietest cabin of any Ram 1500 truck. The new tires have been tuned to dampen road sounds, the crafted hood directs air flow away from the wipers to reduce vibrations, and the acoustic glass further reduces wind noise. Inside the cabin, the Active Noise Cancellation system and new, quieter HVAC system further help to create a more quiet and pleasant interior. 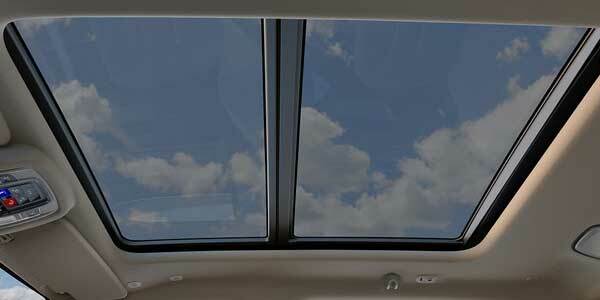 The 2019 Ram 2019 has a new available dual-pane sunroof that offers panoramic views of the skies above for any season. 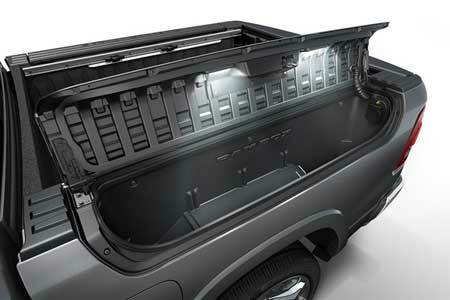 With the 102 mm (4-inch) longer Crew Cab, the new dual-pane sunroof measures 1,107 mm (43.6 inches) x 846 mm (33.3 inches) for a huge view of the sun and stars above. The cover and sunroof itself are very easy to use with the power button, whether you want to let in more natural light or a bit of fresh air. 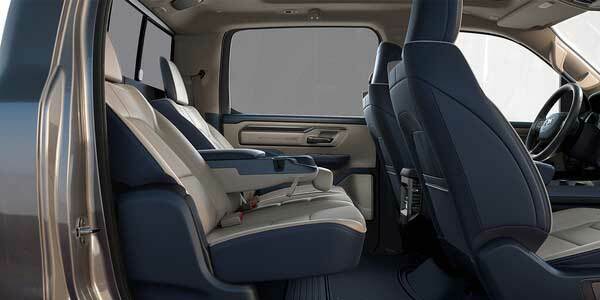 Whether you’re the driver or passenger, the 2019 Ram 1500 has added some new features to the seating to make them even more comfortable. It has an improved heating, ventilation and air conditioning (HVAC) system to improve the air flow, and it has available heated and ventilated seats in both the front and rear seating. 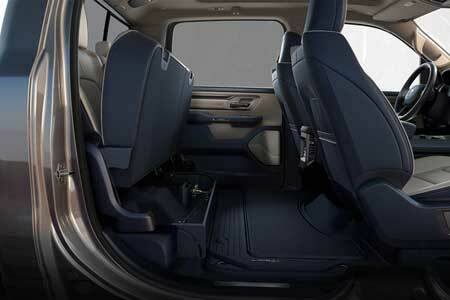 The rear seating has also added the ability to recline up to 8 degrees for even greater comfort. Power your drive with the Apple. 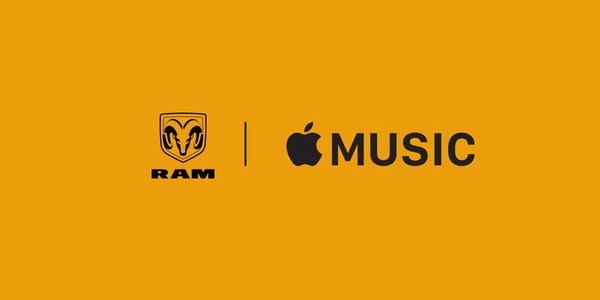 Use your iPhone® to activate Apple CarPlay and listen to music, make calls, send and receive messages, and get directions – all from the touchscreen of your Ram 1500's award-winning Uconnect® multimedia centre. Get up to 6 months of Apple Music on us. 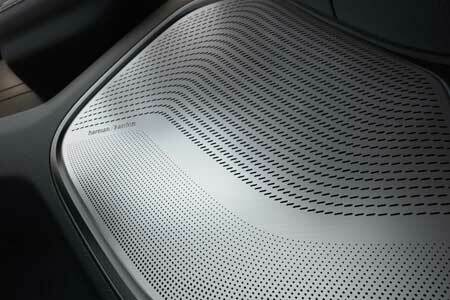 Stream over 45 million songs and listen with premium BeatsAudio™ sound. Brought to you by Ram. New owners of eligible vehicles will receive an email with redemption instructions within 2 weeks of ownership. You have 90 days to redeem the offer from the date of sale. Follow the instructions in the email and your Apple experience will begin. If you have not received your email, please contact FCA Canada at 1-800-211-1984. A representative will be happy to help you. Propel yourself into the future with the 4th generation Uconnect® multimedia centre with available 8.4-inch or 12-inch touchscreen. Connect smartphones with the available Apple CarPlay compatibility or Android AutoTM to listen to music, make calls, send and receive messages, or use any number of apps. 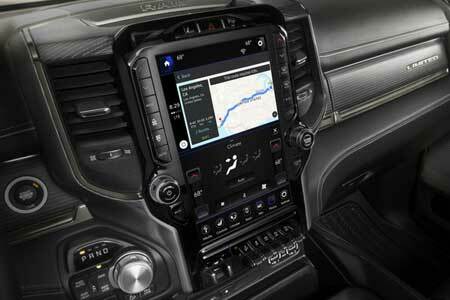 Plus, the All-New Ram 1500 debuts the available SiriusXM 360L which lets you discover more based on your listening preferences. Bigger is way better, especially when it’s the Largest-in-Class 12-inch Uconnect® touchscreen. Easily navigate vivid imagery on the reconfigurable high-resolution touchscreen using multi-touch gestures like pinch-to-zoom. Plus, be sure to utilize the handy split-screen capability that gives you 2 independent, stacked 8.4-inch screens. Also, for added convenience, stay charged with any one of up to 5 USB ports, including available fast-charging Type-C ports, auxiliary outlets, and a wireless charging pad. 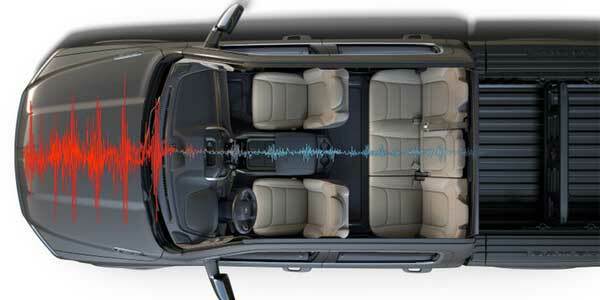 The All-New Ram 1500 has the most powerful available audio system in its segment. This 19‑speaker harman/kardon® audio system with a 10-inch subwoofer and a 900‑watt surround sound amplifier is now available for the first time in a pickup. Not only do the speakers look cool with their steel, laser-perforated grill covers, they are strategically placed to distribute premium 360‑degree surround sound. Combined with the harman/kardon® system, Active Noise Cancellation delivers an amazing listening experience throughout the cabin. The All-New Ram 1500 offers powerful, user-friendly technology that delivers an all-new level of entertainment, communication, comfort and convenience. It supports Apple CarPlay, the smarter, safer way to use your iPhone in the car. Listen to Apple Music, get directions with Apple Maps, and make calls and send messages with Siri. 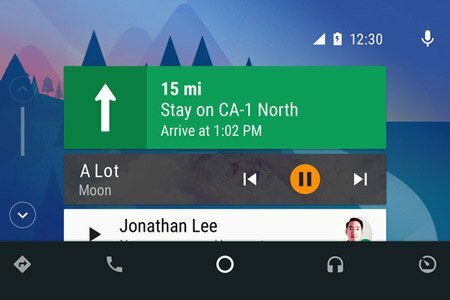 Android AutoTM was designed with safety in mind. It’s simple and intuitive interface, and powerful voice actions are designed to minimize distraction so you can stay focused on the road. Reengineered from the inside out, the All-New Ram 1500 was built to set the benchmark for strength, durability and capability. 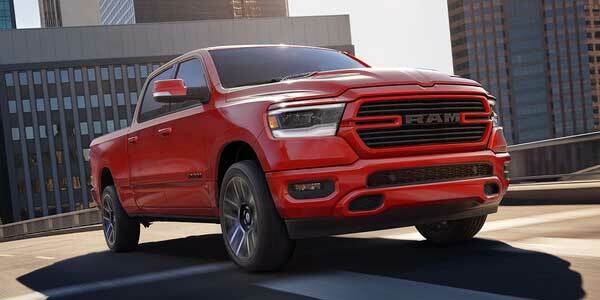 The result: the strongest, most capable Ram 1500 yet. With the most towing and hauling capability ever in a Ram 1500, as well as improved efficiency and exceptional available off-road capability, the All-New Ram 1500 has the grit to take on any task. 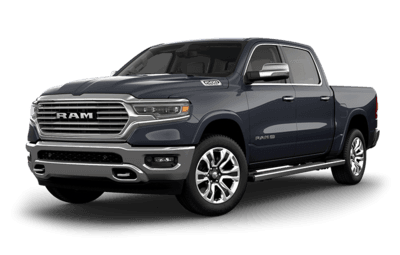 The All-New 2019 Ram 1500 has received the latest advancements in engineering to improve its performance and durability. 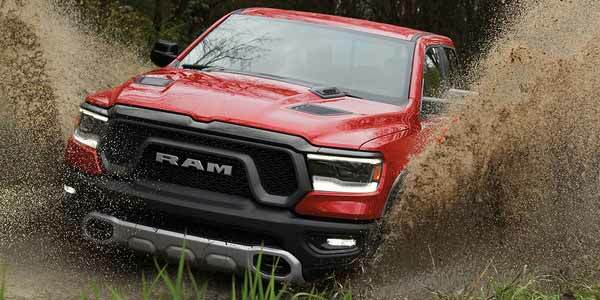 It is lighter and longer than the previous generation, with a towing capacity of up to 12,750 lb (5,783 kg) and a maximum payload of up to 2,300 lb (1,043 kg) — more than any other Ram 1500 truck ever. It has a wider bed for even more cargo bed volume of up to 1,521 L (53.7 cu-ft), and has a new bed step for easier access to all your cargo bed storage. 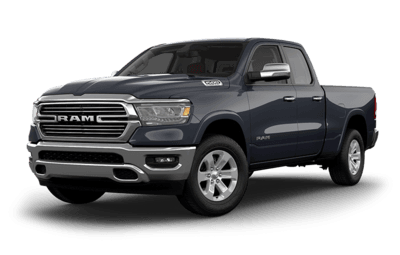 The All-New 2019 Ram 1500 introduces the new available eTorque mild hybrid system to improve its power and fuel efficiency at the same time. It uses a 48-volt battery to run its seamless start/stop, short-duration torque, and brake energy regeneration functionality. The eTorque system also adds up to 90 lb-ft of launch torque to the new 3.6L Pentastar™ V6 engine, and 130 lb-ft to the 5.7L Hemi® V8 engine. 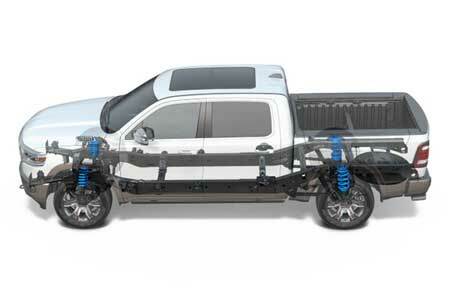 The end result is the most response and efficient Ram truck ever. The All-New Ram 1500 comes with a Class-Exclusive multilink coil spring rear suspension to reduce friction and wear, and improve centralization and road impact absorption. It also has Class-Exclusive Active Level™ 4-Corner Air Suspension helps automatically level loads and improve ride comfort without sacrificing any performance. Combine all of that the ability to adjust ride height at the push of the button to provide more clearance or fuel economy, and you have a truck that can serve whatever purpose you need it to. 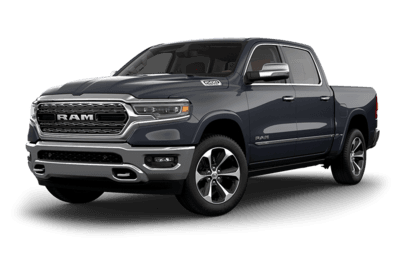 The All-New 2019 Ram 1500 has the Best-in-Class fuel efficiency rating for light-duty trucks thanks to a number of added innovations — the all-new 3.6L Pentastar™ V6 engine with eTorque features, the variable-cam timing with dual-independent cam phasing, belt starter-generator system, and thermal management system that have all been added or improved upon to increase the Ram’s fuel efficiency. Its enhancements to the exterior design to reduce the weight and wind drag further help its performance. More than 100 standard and available safety and security features. Your peace of mind is our top of mind. That’s why the All-New Ram 1500 has been fully redesigned with a high-strength steel frame and more than 100 standard and available safety and security features. 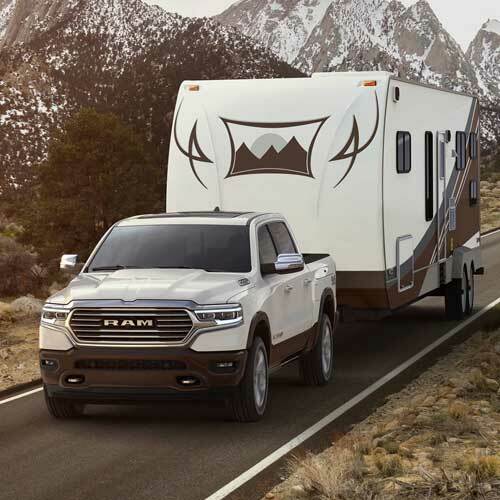 Advanced technology gives the All-New Ram 1500 an impressive level of safety and security, with sensors, cameras and sophisticated software combining to keep you informed and in control. 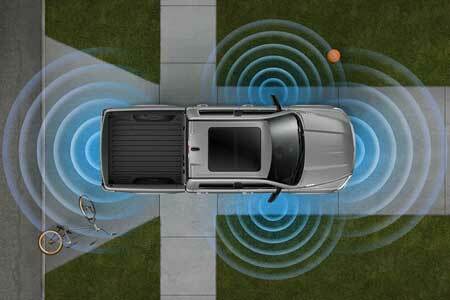 The All-New Ram 1500 is designed for safety from the ground up. So whether you’re hauling big loads or transporting precious cargo, you can do it all with confidence. 98% of the steel used in the frame is high-strength steel, making the All-New Ram 1500 the strongest Ram 1500 ever. 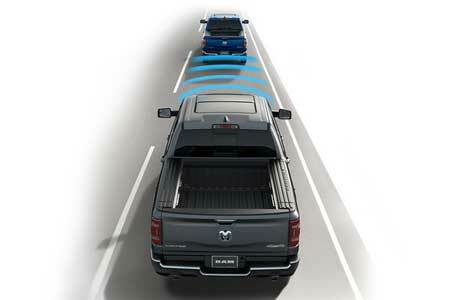 The Ram 1500 offers available a Blind-Spot Detection system that will notify you with an alert that another vehicle is in your blind spot area, and even if the vehicle in your blind spot has their turn signal on. This system also has Trailer Detection to help protect you and your trailer when you have it hooked up. When enabled, the system automatically calculates the trailer length and adds it to the Blind-Spot Detection range, so you can tow your trailer with peace of mind. 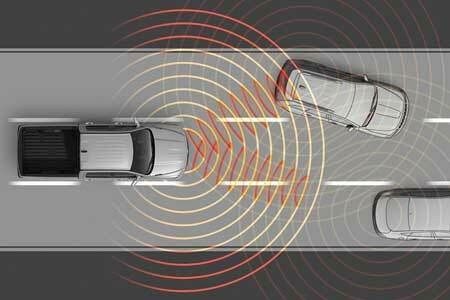 The Ram 1500’s has available Forward Collision Warning system to help alert you and even start to act if it detects a collision hazard in front of you that you missed. It uses a combination of radar and video sensors that will first alert you if something in front of you is approaching so you know to avoid it. If you miss the warnings in time, it will automatically apply the brakes to start decelerating for you until you can take action to brake harder or turn to avoid a collision. At the very least it reduces the severity of a collision, but it can help you avoid an accident altogether. 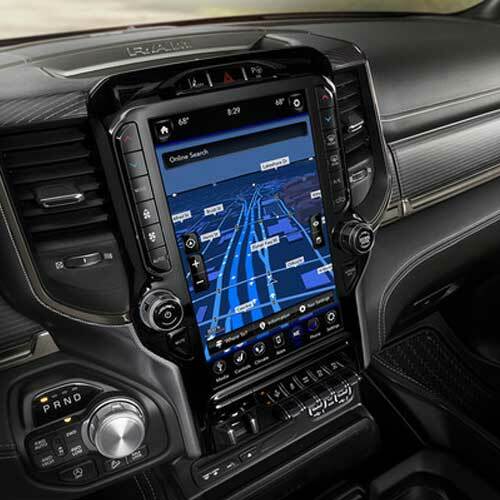 The 2019 Ram 1500 has cameras installed in strategic locations that sends views to the Uconnect screen in your centre console. 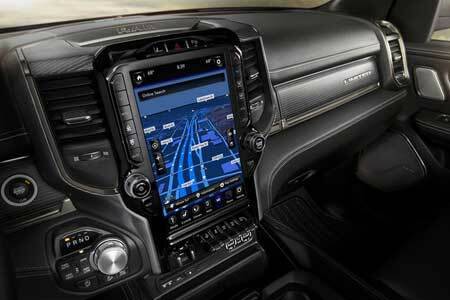 You can choose which view to see, giving you a complete 360 degree bird’s eye view around your Ram 1500. It makes spotting obstacles and pedestrians as well as helping you park or backup to a trailer hitch a breeze. Combined with the available Parallel and Perpendicular Park Assist, and Park-Sense® Front and Rear Park Assist systems, parking has never been easier or safer. 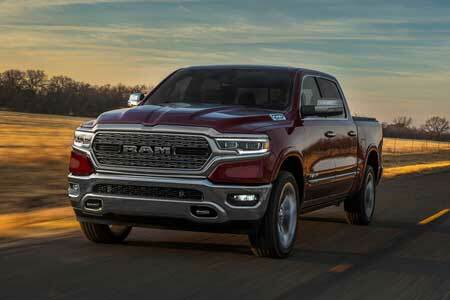 The All-New 2019 Ram 1500 has added new features to help improve its driving experience. 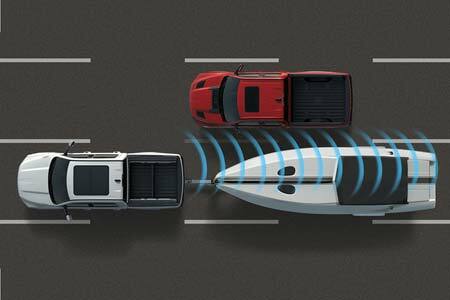 The available Adaptive Cruise Control (ACC) with Stop and Go system can be enabled to automatically slow the truck down and maintain a safe driving distance to the vehicle in front of you. It uses radar sensors on the front of the truck that relays information to the accelerator and brake pedals to adjust your speed and distance to the vehicles in front of you, even in stop and go traffic conditions.